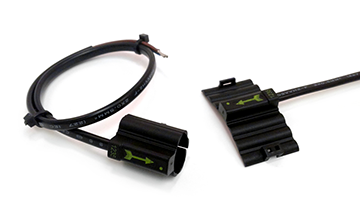 Standex Electronics designs and manufactures custom liquid flow sensors that are reed switch and magnet based flow switches for specific customer applications. The designs often include harsh environments, significant durability requirements, and precise flow rate switching. Designs can be intrusive or non-intrusive with multiple custom packaging options for terminating and wiring and add-ons for temperature sensing, salinity, and multiple trip points. Utilizing our vast experience in reed switch application engineering, mechanical packaging, and related manufacturing process, Standex Electronics provides quality custom liquid flow sensors for markets such as home appliances and pool/spa.